My name is Adrian de Baat and, like many of you all over the United Kingdom, I am a keen amateur gardener. 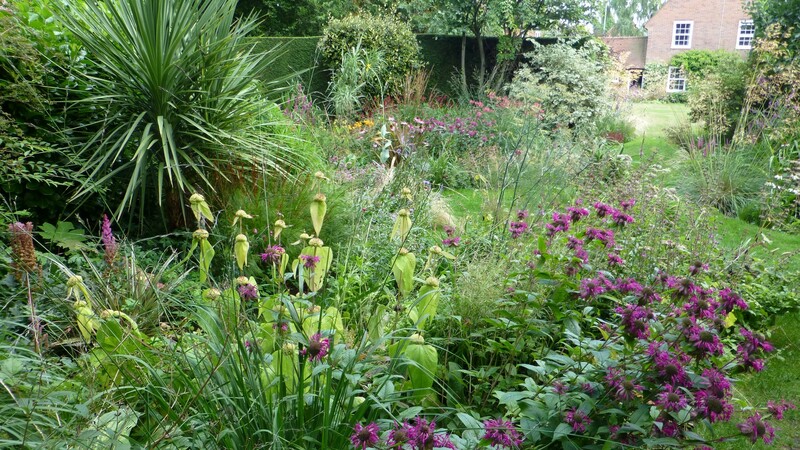 The aim of this website is to give you some information about our suburban garden in Welwyn Garden City, Hertfordshire, United Kingdom, and to invite you to visit us on one of our National Garden Scheme (NGS) Open days. Also, if more convenient, you or your group can arrange a private visit. The main feature of the garden is its deep borders full of perennial plants and grasses, planted in a naturalistic style. The choice of plants and style of planting have been greatly influenced by the gardens and books of Piet Oudolf, the eminent Dutch garden designer who has been referred to as the godfather of the European “New Perennial Movement”. In an article in Gardens Illustrated magazine in 2011, James Alexander-Sinclair wrote about our garden “Adrian’s garden is full of dreamy, naturalistic combinations of elegant perennials and grasses”. I hope that browsing through this website will encourage you to come and visit us. You are very welcome. Clare and I look forward to meeting you in our garden at some time in 2019! You can click on any of the images on this website to see an enlarged version in a separate window. Visited this afternoon, July 31, and must say what a stunning garden! Thank you Adrian. Thank you for your kind comments, Graham. This afternoon was in the best traditions of the National Garden Scheme.